MIND Research Institute colleagues have returned from a jam-packed week of great insights on important topics in mathematics education. 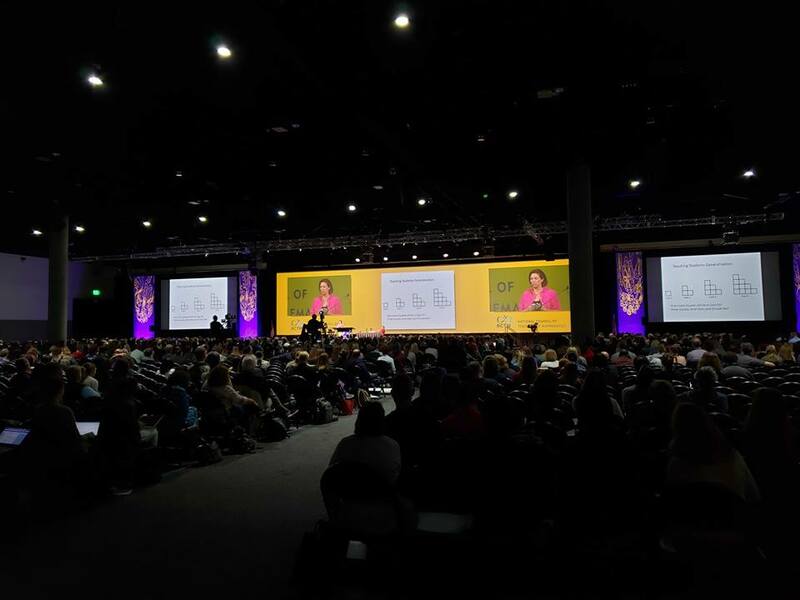 The 2019 NCSM Annual Conference and 2019 NCTM Annual Meeting and Exposition in San Diego, California, displayed innovation from thoughtful math teachers and administrators throughout the country. The week kicked off with the 2019 NCSM Annual Conference, held April 1-3 at the Marriott Marquis San Diego Marina. The National Council of Supervisors of Mathematics is a mathematics leadership organization for educational leaders, and they’re celebrating 50 years of providing professional learning opportunities to support and sustain improved student achievement. This year, their annual conference drew 1,976 mathematics leaders who gathered to learn and grow together. Nigel Nisbet, MIND’s Vice President of Content Creation, had the opportunity to present twice to NCSM attendees. He spoke about how neuroscience, motivational research, and innovative technology can transform mathematics and learning for students, teachers, and parents. He also shared insights on how our brains learn, and how to create active classroom environments that foster student success in the 21st century. The importance of preparing students with a strong mathematical foundation is a topic we often discuss at MIND, and it appeared to weigh heavily on the minds of conference-goers as well. More than literacy skills or positive student behaviors, early math skills are the number one predictor of later academic success. 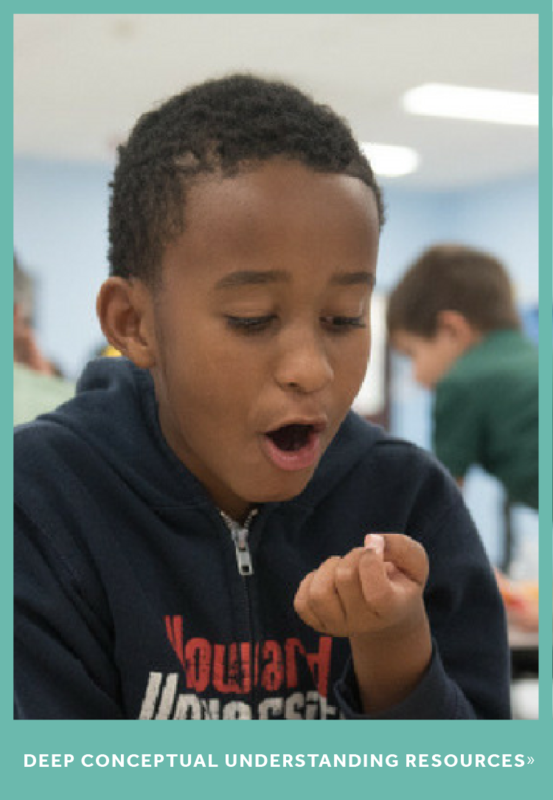 At MIND, we believe that if more students are given a solid foundation in math at an early age, they’ll experience the boost in skills and confidence needed to persist through more challenging problems in high school, college, and beyond. That’s why we created ST Math®, a visual instructional program that builds a deep conceptual understanding of math in Pre-K-8 students. 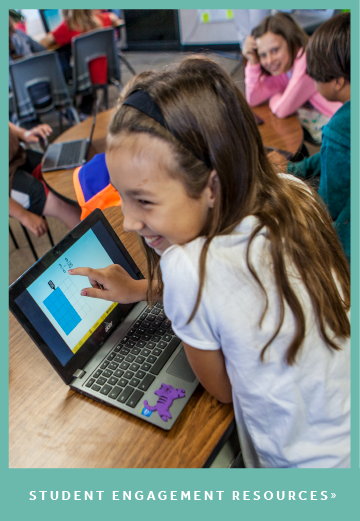 ST Math starts by teaching foundational concepts visually, then connects ideas to symbols and language. With visual learning, students are better equipped to tackle unfamiliar math problems, recognize patterns, and build conceptual understanding. You can try some ST Math puzzles here. 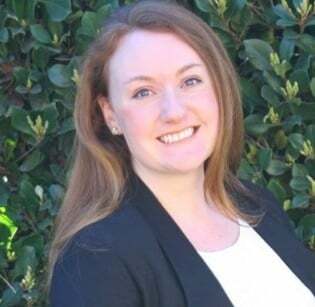 Finding ways to best prepare students to become powerful mathematical problem solvers was a theme that carried us into the 2019 NCTM Annual Meeting and Exposition, held April 3-6 at the San Diego Convention Center. The National Council of Teachers of Mathematics is the world's largest mathematics education organization throughout the United States and Canada. They advocate for high-quality mathematics teaching and learning for each and every student. Their event focused on empowering the mathematics community and covered some great topics, including: building mathematical knowledge for teaching, creating inclusive classrooms, and our personal favorite, for the love and joy of mathematics. We loved seeing Jo Boaler speak on that topic! She and co-presenter, Cathy Williams, showed the audience that when mathematics teaching takes account of brain science and mindset research, it is open, creative, and visual. Jo Boaler explains how visual math is an equalizer in the classroom. MIND's own Instructional Designer Erich Zeller brought his love and joy for math to his NCTM presentation, "Math in the 21st Century Classroom." Erich talked about how math discourse deepens conceptual understanding, and how rich mathematical content can spark powerful conversations. Erich shared ways that educators and educational environments can foster meaningful discourse, problem solving, and communication in the classroom. 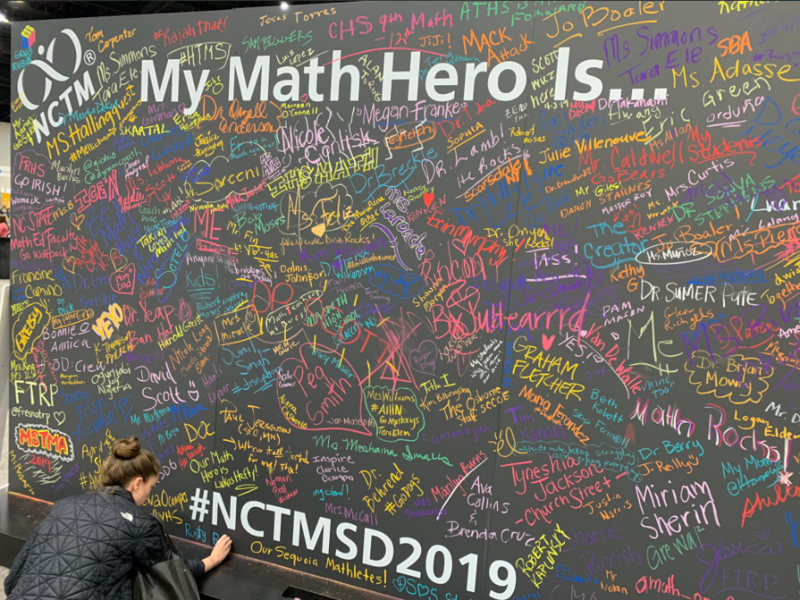 Before leaving the 2019 NCTM Annual Meeting and Exposition, we had one last very important task to complete – writing on the “My Math Hero Is…” chalkboard! We saw names of students, teachers, mathematicians, and more! We even saw a “ME” that made us smile – be your own math hero! As for us, our math heroes are all of the students and educators that continue to inspire us to work toward our mission: to mathematically equip all students to solve the world’s most challenging problems. We spy “JiJi” somewhere on this giant board! Can you find it? What a great week we had making new friends while discussing some of the biggest trends and challenges in mathematics education. Were you in attendance? We’d love to hear your thoughts on either event! Share something that inspired you at NCSM and/or NCTM with us on Twitter by including @MIND_Research.